Developing Internal Consultants in Our Organisations. We all know what consultants are. They come into organisations to provide advice and information on a wide range of issues affecting the growth and development of the organisation. Sometimes they are then engaged to also act on that information and affect the change that the consultation has recommended. But what are “internal consultants” you may well be asking? These are the people who work in your organisation who have either accumulated or are currently developing experience and/or expertise in areas that impact the growth and development of the organisation. Often this experience and expertise is not recognised at the top and its value to the organisation is not obvious. It often becomes obvious when particular people resign or retire, taking that invisible expertise with them. What was taken for granted is then sorely missed. There may not be a forum in the organisation for the expertise of your “internal consultants” to be shared or be made known. CEOs are far more ready to put out large sums of money to bring in “external consultants” to advise on issues and make recommendations when there is often a wealth of expertise within the organisation that has not been drawn upon. One of the best ways of engaging people in the organisation is to use them as “internal consultants”. It’s a way to value their opinions and ideas and to let them know that you want to meet their needs and aspirations, and to let them know they can make a difference to the organisation. We don’t often hear middle managers called VIPs. If you stop and think about it, however, that’s just what they are. They are the people who can make or break an organisation. They are the people who implement the vision of the organisation and who motivate and inspire their teams to work with them to make it happen. They build culture. They determine how engaged employees are in the organisation, how much discretionary effort they are willing to put in. If we know this, then why is so little attention paid to their professional development. But, what if we train them and they leave? Then the reply by another: Yes, but what if we don’t and they stay? Too many organisations take the risk of not training them. The managers stay, because they are where they want to be, but the talented people under them leave. 70% of employee engagement is determined by employees’ managers. So what does this all mean? It means that managers do not know their employees very well and therefore cannot bring out the best in them. The performance of your people either makes or breaks an organisation and having those skills to motivate employees for high performance, to get them to work WITH you not just FOR you and to give you 150% will position you as a highly sought after manager. 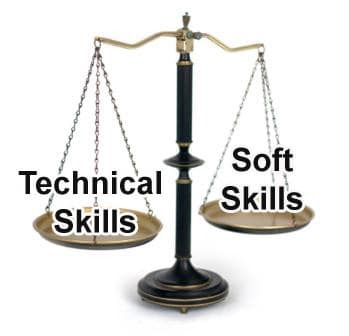 The skills you need to be able to do this are the soft leadership skills. Many managers do not feel comfortable with this soft side of management and they certainly haven’t been “trained” in them.. Yet these are the skills that are now being recognised as an essential complement to your technical and industry specific skills. If this is you, if this is happening in your organisation, you need to come to my workshop in Melbourne on Tuesday, 23rd June, 2015. Make Soft Leadership Skills Workshops Work For You. Why would people register for a Time Management workshop and then arrive late for it? You may say the answer is obvious – they need some time management skills. But then, you wouldn’t think they would want to make it so blatantly obvious to their participating professional peer group that they are so lacking. Or what about the up and coming leader who phones me telling me he wants to enhance his networking skills and is coming to my workshop on Growing Your Career Through Networking. He enters the room where everyone is having pre-workshop coffee and stands by himself against the far wall. I go and get him and bring him across and introduce him to people. He shakes their hands but doesn’t contribute to the conversation. At morning tea, he gets his coffee and slice and goes and sits back at his table by himself. There is certainly a big disconnect. There is a Zen saying: To know and not to do is not yet to know.